Most visitors to Vietnam require a visa to enter the country. - Thailand, Malaysia, Singapore, Indonesia, Cambodia and Laos (30 day visa). - Brunei, Myanmar (14 day visa). - Philippines (21 day visa). - Japan, South Korea, Sweden, Norway, Russia, Denmark and Finland (15 day visa; required to hold a passport valid for at least 6 months on arrival and also must make 30 day pause between two arrivals). - Belarus (15 day visa. This visa waiver is valid until 30 June 2020). - Kyrgyzstan (30 day visa). - Chilean citizens holding valid diplomatic passports are exempt from visa requirements (90 days). - Citizens of China, Cuba and North Korea holding normal passports endorsed "for public affairs" do not require a visa for Vietnam. - APEC Business Travel Card (ABTC) Holders from Asia-Pacific Economic Cooperation (APEC) member economies are exempted to stay within 60 days without visa. - Those who directly visit Phu Quoc Island without a visa for up to 30 days. Foreigners and Vietnamese nationals bearing foreign passports who enter Vietnam through an international border gate and then travel to Phu Quoc Island and stay in Phu Quoc less than 30 days will also be granted Vietnam visa exemption. After arriving in Phu Quoc Island, if visitors want to travel to other localities or stay in the island for more than 15 days, the immigration department will be responsible for issuing visas right on the spot. Vietnam’s visa waiver policy is eligible for passport holders of Denmark, Finland, Norway, Sweden, Japan, Russia, South Korea, UK, France, Germany, Italia, Spain. Accordingly, those come from these countries are currently allowed to stay in Vietnam for only 15 days per visit and wait for at least 30 days if you want to apply for the next entry. So in case citizen from those countries (Denmark, Finland, Norway, Sweden, Japan, Russia, South Korea, UK, France, Germany, Italia and Spain) wants to stay in Vietnam for more than 15 days or entry Vietnam more than once in less than 30 days, you should apply for single entry visa 30 days valid or multiple entry visas as other. 1 - One-month Single-entry Visa: 15 USD. 2 - One-month Multiple-entry Visa: 30 USD. - The above rate does not cover the Visa Stamp Fee, which must be paid at the arrival airport to immigration officers: 25 USD Single Entry or 50 USD Multiple Entry. Travelers with Travel Vietnam receive a complimentary Visa Approval Letter to make your trip a little easier! A Travel consultant will prepare the necessary paperwork and send you the letter either by email or fax. Once you have received your Visa Approval Letter you have two options through which to obtain your Vietnam visa: To save your time at Immigration, please print out and fill in the VISA FORM in advance. Option 1: Take your Vietnam Visa Approval Letter and get the visa stamp at the Vietnamese Embassy or Consulate in your home country. * 135 USD for multiple entries from 180 days to 365 days (cash only). We will submit this information to the Vietnam Immigration Office and get your visa approval letter within 3 (three) to 4 (four) business days. - The Visa On Arrival to Vietnam only works when you arrive by plane to the International Airports of HCM City, Hanoi, Danang, Nha Trang. If you travel via land (boat or drive) from Laos or Cambodia to Vietnam, please have the Visa in advance because service of Vietnam Immigration Offices at Vietnam borders (in Vinh Suong - Chau Doc or in Moc Bai) is complicated and slow. Visa to Cambodia can be applied at ports of entry whether you come by air or by land. Travelers are required to show your phhoto (3x4cm) and their valid passport. The Government Immigration distributes application forms upon arrival. If you arrive by air at Phnompenh International airport or Siem Reap International airport, it is so simple and just take you few minutes to get visa done. The fee is 30 USD for a 30 day visa (Cash only). Obtaining a Cambodian visa is also possible at the Poit pet" border gate with Thailand (When you drive in from Thailand). From Vietnam you could pass to Cambodia via few border gates: Vinh Suong at Chau Doc (Mostly people come by boat), Xa Xia at Ha Tien, or Moc Bai at Tay Ninh when you drive from Saigon. The Visa fee is 33 USD Single entry. Laos visa is easy to obtain on arrival at all port of entry including the most popular three international airports of Vientiane, Luang Prabang and Pakse. Visitors are required to show valid passport ( at least 6 months valid) and 2 photos. The cost of Laos Visa depends on which passport you are holding. The price list is on display at the visa counter. if you are citizen of USA, UK or European citizen, the fee is 35 USD, Canadian: 42 USD, Sweden: 31 USD. Australia and other countries is 30 USD. * All visa's fee are payable in cash only (US dollars or Thai baht). For further information, please contact a Travel Consultant. 1 - E-visa Online System is currently only available to Tourists for Tourism purpose only. (c) You will need your Visa, Master or American Express credit cards for the payment of 50 USD. (a) The validity of E-Visa approval letter is 90 days from the issued date. If it is expired, entry will be denied. (c) E-Visa service is non refundable. (e) The processing time is upto (3) working days. 4 - If the applicant has child(ren) under (7) years old on the same passport, you have to put the name of that child, date of birth in the minor section of the application form. 5 - E-Visa is currently only available to Tourist seeking entry into Myanmar. If you are seeking entry for business, meetings, seminars purposes please apply at a Myanmar embassy in your respective country. 6 - Tourists must stay in registered hotels, motels, inns, guest house and resort during your stay in Myanmar. 7 - The applicant should complete individual personal data whether passenger is FIT or package tour. 8 - E-Visa is only valid for a single entry. Re-entry will require a new visa. 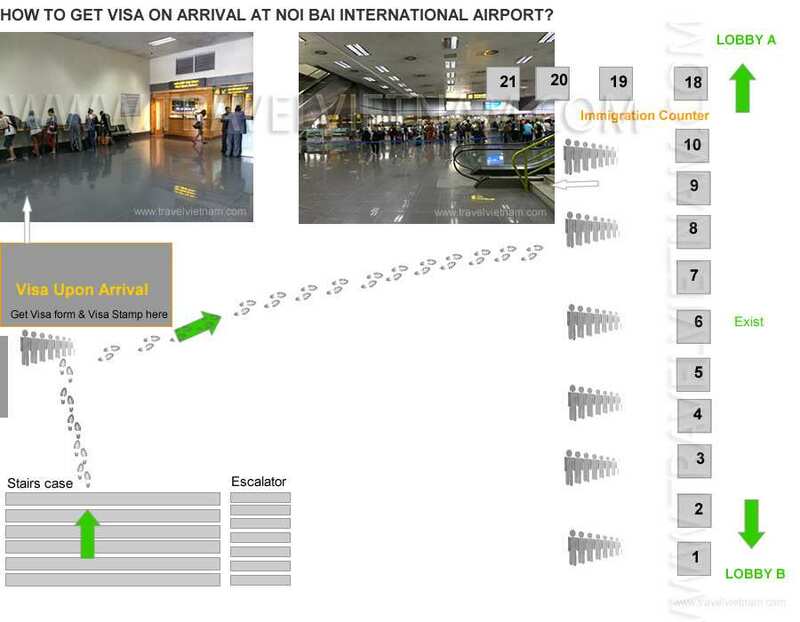 9 - Currently passengers with E-Visa are only permitted to enter via Yangon International Airport, Nay Pyi Taw International Aiport and Mandalay International Airport. We will announce other port of entry in due course. 10 - If you are visiting Myanmar via cruise, please contact travel consultant of Myanmar Travel for Pre-arrangement Visa on Arrival. You will not be able to use E-Visa to enter Myanmar via seaport. 11 - If the decision is not allowed to entry, you may return by the same flight. 22 ARKANA STREET , YARRALUMLA CANBERRA A.C.T. 2600, AUSTRALIA. Fax: (88-02) 8823740 BOULEVARD GINERAL WASHIS 9,l030, BRUSSELS. Fax: (86) (871) 81 62805 LAO-THAI ROAD, WATNAK VILLAGE,SISATTANAK DISTRICT, P.O.BOX NO.11, VIENTIANE, LAO P.D.R. CHARLES DE GAULLE AVENUE DEBAHY CENTER, 7th FLOOR SIN EL FIL, BEIRUT, P.O. BOX 11-0346 BEIRUT, LEBANON. 0 = Must apply for visa before travelling to Thailand.